Neeraj currently leads IPA’s global energy business, which includes oil and gas, unconventionals, and renewables. 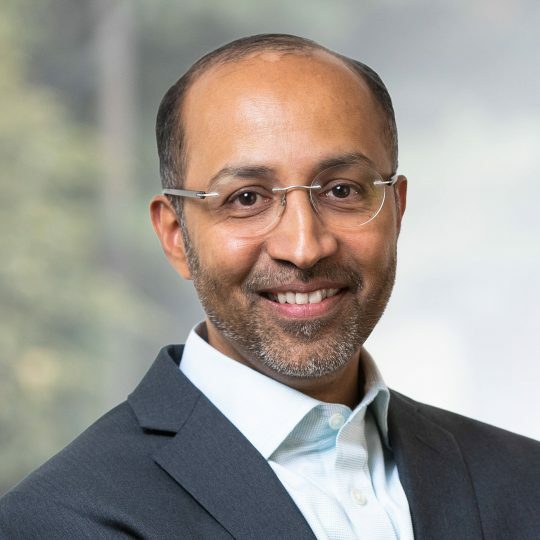 In this role, Neeraj is responsible for the area’s strategic direction and oversees the global business, including customer relations, intellectual property development, research development, and implementation of IPA’s suite of capital effectiveness solutions. Since joining IPA in 2000, Neeraj has provided strategic advice and counsel to business and project leadership of most big and small energy companies, both operators and the service sector, in themes that span the entire value chain. In April 2018, with IPA Founder and President Ed Merrow, Neeraj co-authored Leading Complex Projects: A Data-Driven Approach to Mastering the Human Side of Project Management. Neeraj received an MBA from The Wharton School at the University of Pennsylvania in Philadelphia, Pennsylvania; an MS in Petroleum Engineering from the University of Tulsa in Tulsa, Oklahoma; and a BS in Petroleum Engineering from the Maharashtra Institute of Technology in India.